Need more help planning your trip? Our monthly Staff Picks blog features exciting area attractions and info on upcoming Naples events, so discovering the best of our city is easy. A South Florida tradition, the 28th Annual Taste of Marco is back just in time for your spring visit! On Sunday, April 28 between 11 a.m. – 5 p.m. head on down to Marco Island’s Esplanade for a day of fun, friends, and seriously amazing food. 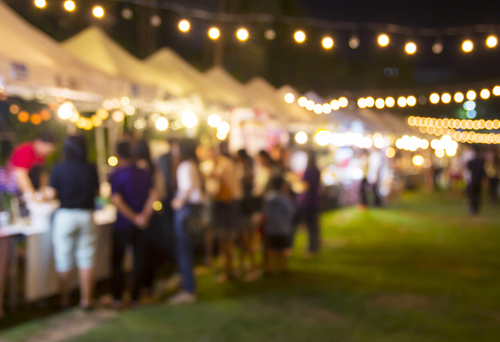 The festival is a popular community event that attracts locals and visitors and brings the best of the best of the region’s restaurants, eateries, food trucks and everything in between for you to dig in to. To work off the calories, join in on the good vibes on the dance floor with live music from the Ben Allen Band going on all throughout the afternoon. Other exciting activities include raffles and wine auctions, food and beverage awards, kids games, and much more. Bring the family or join your friends for this perfect afternoon out on the beautiful Marco Island! Join the Naples community in the fun and festive Irish spirit for Saint Patrick’s Day! 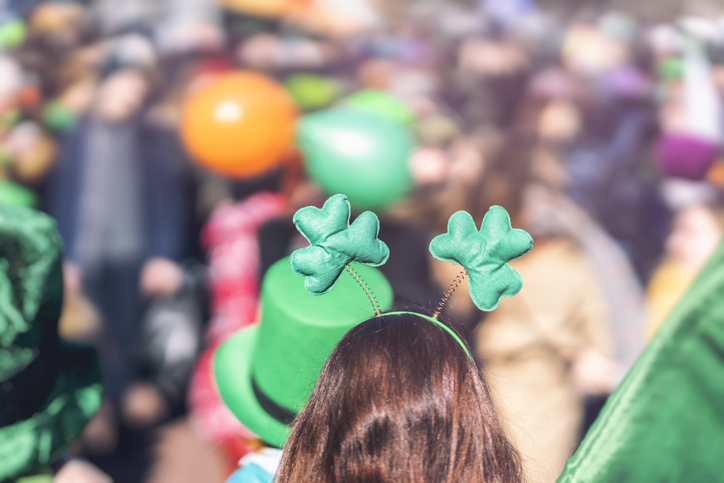 Every year, the celebratory parade takes to Downtown to march down Fifth Avenue South for an afternoon of excitement in honor of the Irish-inspired holiday. Saturday, March 16, find the perfect viewing spot on Fifth Avenue South before the parade begins at 11 a.m.—you’ll cheer on the colorful floats, enjoy the performers, and love waving to the groups marching along the parade route of this 40-year community tradition. The festivities attract over 40,000 people to the downtown area and raises money for local educational programs. Afterward, you and your family can pop into the many boutiques, galleries, and eateries that will have their doors open. It’s always a good time on Fifth Avenue South, but St. Patrick’s Day ensures that the popular street’s celebrations last all day long! With Valentine’s Day right around the corner, you’ll want to create the perfect day with your special someone. We suggest setting your plans in motion aboard the Naples Princess. Close to our property is a gateway to a romantic escape as you cruise the calming waters of Naples Bay and Port Royal. Time your voyage right and you and your loved one can take in the beautiful sunset to put a dreamy touch on your lovely evening. After the sun has set and the candles have been lit, head indoors for a delicious gourmet dinner with fresh selections of seafood and land-fare, cooked to perfection. The live musical entertainment will help set the mood while you savor the dinner—just don’t forget to save room for dessert! Though you won’t go farther than the Naples area, an evening aboard the Naples Princess is like taking a journey around the world. The new year, much like a well-earned vacation, brings endless opportunities, so why not start the new year—and your vacation—on an artistic note? Returning this year on January 5 and 6, the Naples New Year’s Art Show is a vibrant celebration of the artistic community here in Naples. From 10 a.m. to 5 p.m. on both days, explore and shop your way through 5th Avenue South’s most creative vendors. The Art Show offers a refreshing chance to walk off those holiday calories and mingle with the show’s 250 professional artists from all over the nation. Whether you’re an artist yourself or simply an admirer, you’ll love looking over the incredible offerings—from acrylics and watercolors to mixed media and leather, all mediums are welcome! 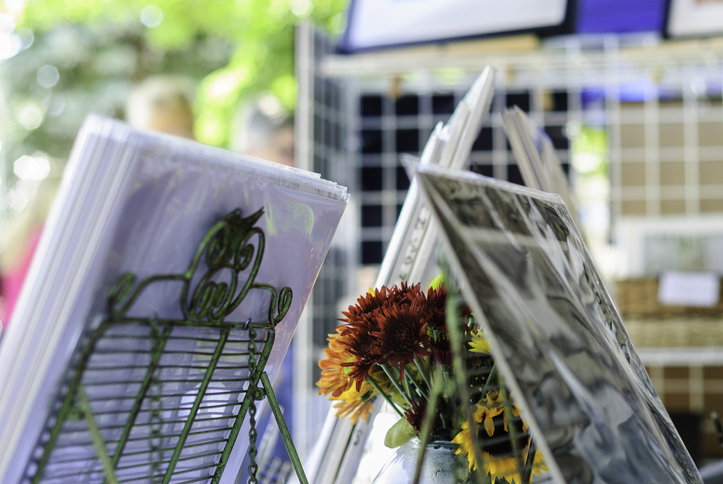 Recently ranked the 17th best outdoor art show in the country at Sunshine Artist Magazine, you won’t want to miss this colorful celebration of the arts! Step aside snowmen, here in Naples, we take our holiday happenings straight to the water! On Saturday, December 8, gather to the dock at Fifth Avenue South to enjoy the annual Naples Christmas Boat Parade from 6-8:30 p.m. The popular event will light up the water with colorful and Christmas-themed light displays on participants’ boats as they cruise around the Naples City dock and landings. With the water reflecting the beautiful lights, viewers are in for a special treat with memories to last through the next year. Every year the boat displays become more and more elaborate, working to claim most colorful boat decorations. One thing is for sure, the annual Boat Parade is a community-driven event that shows visitors how locals celebrate the holiday season here in Naples. With the ones you love and a beautiful display of boats, you wouldn’t want anything more! Ready or not, the holidays have officially arrived! Once your Thanksgiving celebrations have passed, join us on Third Street South to watch the official lighting of the Christmas Tree. Full of twinkling string lights and colorful decorations, Third Street South lights up with the merry Holiday magic of the season. Everywhere you turn, soak up the festive music and bells that liven up every store and courtyard on the Third Street. Didn’t think it snowed in south Florida? Think again. Thanksgiving week watch snow fall Tuesday, Wednesday, Friday or Saturday evening at 7 p.m. The spirit of the season is infectious, and whether you stay for all the celebrations or simply walk through, you won’t be able to ignore the holiday cheer around every corner. It’s always an amazing time to visit Third Street South thanks to the great dining, shopping, and entertainment scene. But Christmas on Third Street South is its own fantastic celebration—we hope to see you there! Lights, camera…action! Groundbreaking filmmakers, renowned directors, and stunning films will make their debut at the 10th annual Naples International Film Festival on October 25-28. Film lovers and artists can connect over a weekend of thought-provoking cinematic wonder with more than 60 screenings over the course of the four-day event. Catch exclusive screenings and listen in on conversations with the team behind the films to get the inside look into what it takes to create and produce a film. The International Film Festival gets better year after year, presenting a thoughtfully curated weekend with a mix of domestic and international films that cover a wide range of mediums. From short films to documentaries, the festival is a refreshing collection of films that encourages the viewers to question and discuss the concepts. A true place for film lovers, the Naples film festival is a must-see during the month of October. What’s a vacation without a little retail therapy? 5th Avenue South is Naples’ one-stop destination to shop, dine, and relax during your stay. A refined mix of elegance and comfort, 5th Avenue South stands as the meeting ground for friends and family to reconnect since its very beginnings. Admire the historic architecture and colorful storefronts as you stroll down the long stretch of paradise—from Tamiami Trail to the Gulf of Mexico in Old Naples! Here you’ll find sophisticated boutiques to shop to your heart's content, covering everything from home décor to fashion to art galleries. Afterward, or in between (since we all have to refuel at some point! ), enjoy refined dining selections perfect for everyone in the family. No matter your plans, a day on 5th Avenue South is the ideal day for both visitors and locals to uncover what Naples is all about. We’re lucky enough to live in paradise every day and just between us: we never tire of it! As the last full month of summer begins, we’re still soaking up every chance to get outdoors and enjoy the thriving community of Naples. Where we’re headed? Right to the Naples Botanical Garden. In addition to 170 acres of cool gardens featuring tropic and subtropic plants, the botanical garden is home to a number of events throughout the summer. In the month of August, you can catch a part of their music series in the Water Garden. On August 11, Kelly & Mason duo will take the Water Garden Stage with a fun mix of soulful classics and pop songs. And on August 25, catch Roy Schneider & Kim Mayfield for a sweet and soulful blend of folk and rock music. Each show goes from noon to 2 p.m.—don’t forget to bring your own seating! Round up your friends, family and festive spirit for Naples’ Fourth of July celebrations. You can partake in fun and lively events to celebrate our favorite country’s historic independence all throughout the city. In the morning, join locals and visitors alike at the City of Naples July 4th Parade. Taking off at Broad Avenue to Third Street, then proceeding north to Fifth Avenue, the parade is an upbeat march with music and performers that reflect the close-knit community of Naples. Local restaurants will be decked out with their best red, white and blue gear and at night, get ready for an exciting fireworks display. Every year, bright and colorful fireworks of all varieties explode into the night sky 1000 feet out from the Naples Pier. No matter where you spent your USA day, you’ll be hard-pressed to find a better way to wrap up the memorable holiday. A day trip with everlasting memories awaits at the Otter Mound Preserve on Marco Island. A short drive from Park Shore, the small community of Goodland is home to a 40-acre shell mound believed to be made by the Calusa Indians. Likely once the village area for the Calusa Indians, the shell mound created a tropical hardwood hammock over time—be sure to look up at the canopy of tall trees above. And due to fast development in the area, Otter Mound is one of the few remaining tropical hammocks in South Florida. You can feel the history of the site as you wind through the nature preserve’s tropical trails, or even as you soak up your surroundings on one of the many benches that dot the path along the way. However you like to take in nature, it’s impossible to ignore the beauty of Otter Mound. Take to the waters at the 42nd Great Dock Canoe Race, May 12. In the years since its humble start in the spring of 1977, the Crayton Cove race has become a community tradition and one of Naples most popular events. People travel from all over the country to join in on the fun, whether that’s participating in the race or watching it all go down from the dock. This year’s theme of “Reel or FantaSea” will have contestants thinking outside of the box to create fun, colorful costumes and headgear for the showdown and the theme parade. From experts to first-timers, the event awards racers across all categories including Practically Professional, Ambitious Amateurs, and Truly Tenacious. And whether this is your first time at the race or a family tradition, it’s impossible not to connect with the strong sense of community and joy that this event evokes in all of Naples. Held on April 8, 11 a.m. – 5 p.m., the Esplanade will come to life with the island’s top restaurants and chefs, live music from Marc Kircher and the Greg Miller Band, and bubbling atmosphere. Kickback with cool drinks including beer and wine, and dig into flavorful dishes prepared by the area’s very best. Awards will be handed out, like the popular People’s Choice award, Best Theme, and more. This community event has been a favorite for years and all proceeds benefit the Marco YMCA Scholarship Fund. 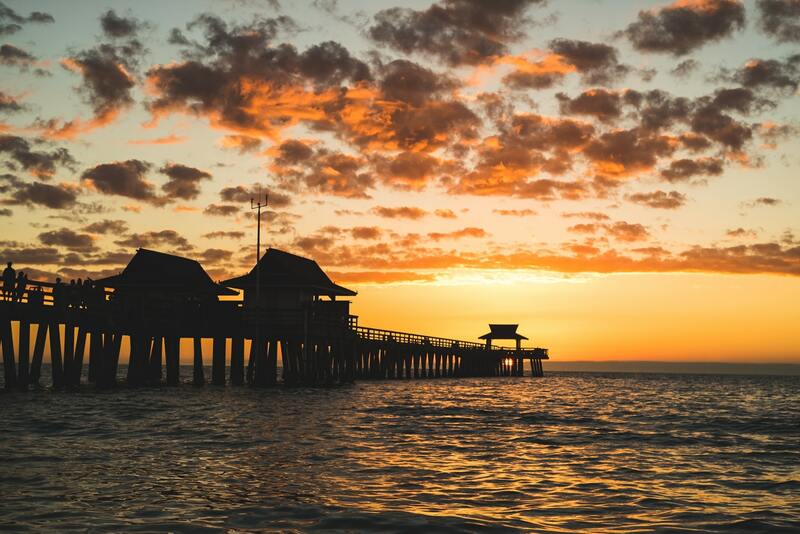 Take part in activities including kids games, giveaways, raffle prizes, and live entertainment to make your trip to Marco Island one-of-a-kind. A few minutes from our Naples property is a gateway to experience the Everglades like never before. Join a boat tour for an up-close, behind-the-scenes right through the backwaters of the Gulf. If you’re looking for an exhilarating, informational activity fit for the whole family, Everglades Excursions might be the perfect solution. Cruising through the exciting Ten Thousand Islands, you’ll wind through mangrove tunnels and old Native American trails, spot alligators and manatees, and take in the serene, natural beauty of the area. Choose from a half day or full day tour—which includes an Everglades luncheon—depending on your schedule, and walk away with a ton of information and a deeper understanding of this unique eco-system. Every tour is led by a knowledgeable, park-trained guide who’ll ensure you see all the wildlife you can and leave with an experience you’ll look back on for years. Heading out for a date night? From intimate settings to impeccable entrees, these dining hotspots will make your evening out unforgettable. Modern, refined, innovative…these are just a few words to describe this upscale surf ‘n’ turf waterfront restaurant. With fresh seafood, steaks, and pastas made in-house, M Waterfront sets the bar high with a tasty menu and an unbeatable view of Venetian Bay. This award-winning restaurant’s underwater-like atmosphere will provide an impressive ambience to the expertly-crafted seafood dishes. Enjoy local favorites like miso-broiled sea bass, prime tuna, and seared scallops. If anyone knows a thing or two about crafting a romantic dinner, it’s The French. Dig into country and coastal items like Coq Au Vin and Poisson du Marché while taking in the charming Parisian décor. Love always comes to mind at Lover’s Key State Park, making it the picture-perfect day destination for you and yours. For many years, this hidden island gem was accessible only by boat, and the story goes that only those in love traveled there to enjoy each other’s company at the secluded beach. It still remains the ideal secret getaway, but now it’s fortunately a whole lot easier to get there (thank you boardwalk and tram)! As one of four barrier islands, Lover’s Key is a tranquil home to shimmering waters, marine life like manatees and dolphins, and soft sand that seems to go on forever. Can’t get enough of the water? We don’t blame you. The two of you can also rent canoes and paddle boards, or set up a kayak tour to explore the marine wildlife. With over 700-acres, there’s always a place for lovebirds at Lover’s Key. The Naples Zoo is an exciting day trip away that's filled with amazing wildlife and a unique history. In the early 1900’s, the grounds were an expansive botanical garden for botanist Dr. Henry Nehrling. And shortly after his death, the gardens were rejuvenated and animals were added to create a zoo unlike any other. With a main path that wraps through tropical gardens, it’s easy to feel lost in paradise in this local favorite. Spot all kinds of endangered and protected animals in spacious enclosures such as American alligators at Alligator Bay, both black and spotted leopards at Leopard Rock, Malayan tigers in Tiger Forest, and many more. Plus, the Primate Expedition Cruise provides a close-up view of the primate exhibit while cruising along Lake Victoria in a catamaran. With so many incredible species to see, there's no better place to admire their beauty than at the Naples Zoo.